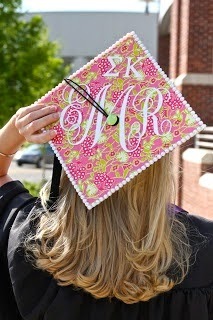 I feel like in recent years, decorating your graduation cap has become a rite of passage, for girls at least. At first I only saw sorority ladies decking their caps in glitter, monograms, and their sorority letters but now, it feels like a campus wide epidemic. 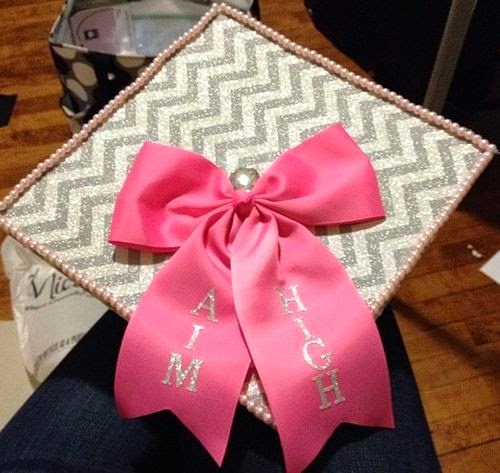 If you're into crafting such as myself and you're a graduating senior, you most likely have been browsing Pinterest to find inspiration for your own design. Since joining Phi Sig in my sophomore year, I've watched two classes of seniors come and go. I've watched them become emotional, drink heavily, and partake in senior year events. I never thought my time would come but it has. 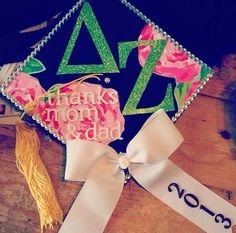 Over the past two years I've seen some incredibly crafted graduation caps because well, we're sorority girls and crafting is in our blood. I've been thinking what my cap would look like for the past two years but never settled on a design. With graduation only nine days away, I think it's time I figure out what my hat will look like as I cross the stage at Madison Square Garden. Here are some of my favorites that have inspired me. 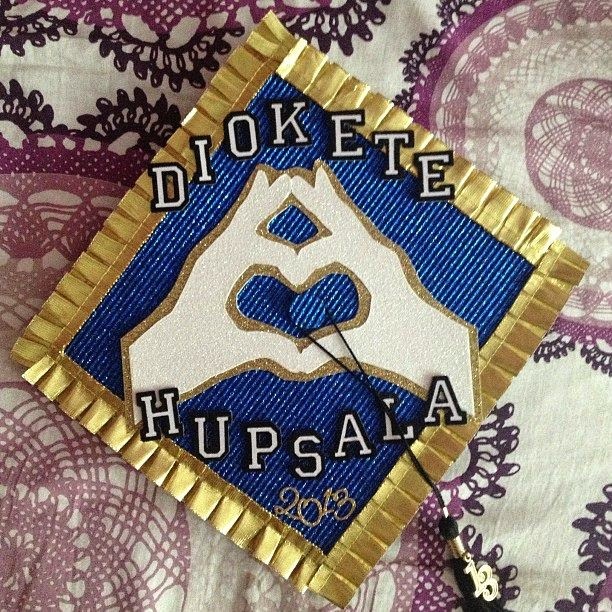 This is actually my best friend's/sorority sister's cap from last year! 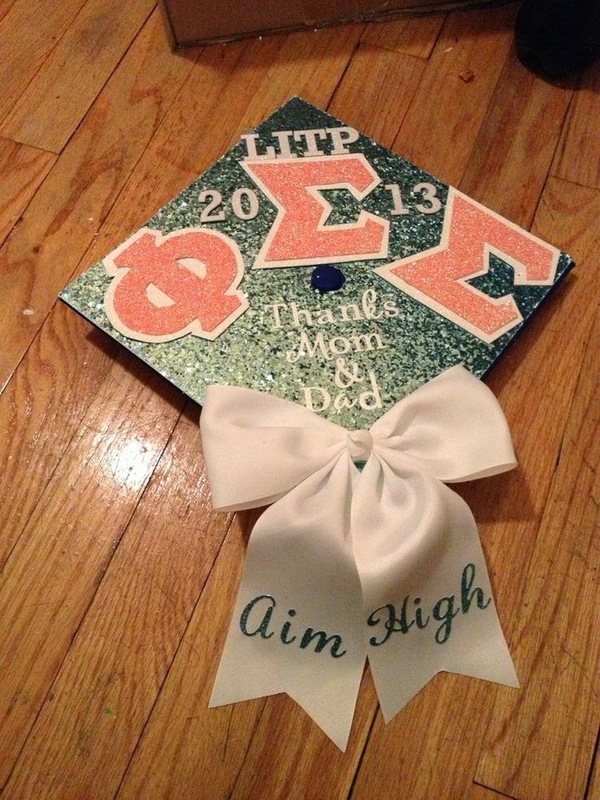 If you're graduating, what is your cap going to look like?